(March 29 2013) – The Horseplayers Association of North America’s (HANA) harness racing division in association with the Hambletonian Society, Chicago Harness (Balmoral and Maywood Parks), The Meadowlands, Tioga Downs, and Vernon Downs is pleased to announce “The 2013 Grand Circuit Handicapping Challenge”. The format of this year’s competition is a change from past Pen vs. Chip competitions as it doesn’t matter which type of handicapping method a handicapper uses as long as it is their own. In addition, instead of handicapping complete race cards, the contest focuses only on Grand Circuit races. Using the Grand Circuit schedule, excluding most elimination races, handicappers will be given $30 to wager as they will on race finals or in the case of races being contested in divisions, on one or more of the divisions. 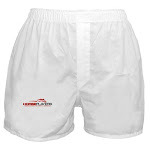 Each gambler must invest the full $30 or they will be penalized. The handicapper with the highest net profit after the last Grand Circuit race of the year will be the champion. The contest begins and concludes at Northfield Park; beginning on April 26 with the Courageous Lady and concluding on December 14 with the Cleveland Classic and includes 74 contest dates and 230 individual races. Rules and the Schedule of Races may be found at the contest website. Another difference this year is the prize money, donations to standardbred rescues will not be winner takes-all. 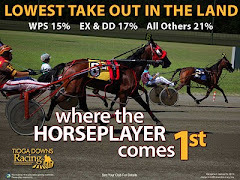 The sponsorship funds will be donated to standardbred rescues designated by our top three handicappers in a 50-35-15% breakdown, thus allowing more rescues to benefit. While additional sponsorship money may be forthcoming, $2,500 has already been pledged by our sponsors. “HANA Harness is pleased to be presenting 2013 Grand Circuit Handicapping Challenge this year.” said HANA President Jeff Platt, “We’ve decided to focus on the Grand Circuit races in an effort to support the revival of the Grand Circuit which features quality racing. 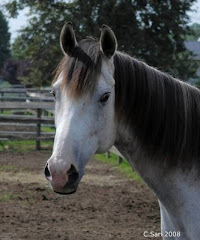 I would also like to thank all our sponsors for providing sponsorship money which will help support standardbred rescues that are doing great work on behalf of our retired equine athletes”. “We are pleased and excited that HANA has chosen to feature the retooled Grand Circuit as their contest races”, stated John Campbell, Grand Circuit President, “Hopefully the fans will enjoy following along with the races and the contest. We also want to thank the sponsors who allow this contest to support standardbred rescue”. 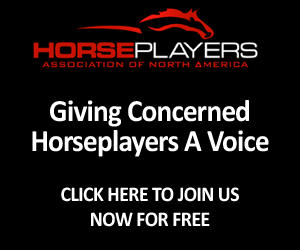 HANA would like to invite all harness horseplayers to the contest blog, which will analyze and discuss the upcoming races from a handicapping perspective. The blog will also offer handicapping information and selections from our handicappers, all successful horseplayers and when available, links to free past performances or handicapping information. 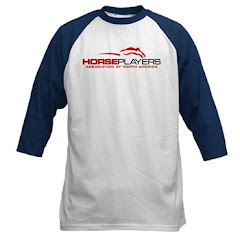 HANA Harness is the Harness Racing Division of the Horseplayers Association of North America (HANA). HANA, established in 2008 has grown to over 2500 members. 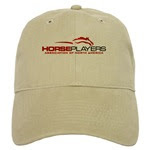 To join HANA Harness please visit this link: http://www.horseplayersassociation.org/ and sign up. It’s free!